The hardest thing in life is losing those we love too soon. If the negligence of another was the cause, the grief is compounded by unanswered questions and the “Big How”. How did this happen? If you or your family are dealing with the death of a loved one as a result of medical malpractice then the Big How can require the help of professionals, both medical and legal, to help navigate answering this fundamental question. In the unfortunate event where a health care professional has wronged you and your family, seeking the advice of an experienced malpractice lawyer is crucial. There is a level of comfort that stems from working alongside a reputable law firm as they advocate for you and pursue damages that you and your loved ones deserve. After choosing the right lawyer you need to start preparing for what can be a long process. Your attorney will seek to understand everything that you know about the medical condition, treatment, and other relevant information. They are representing your side of the story, so be as forthcoming as possible. After working with you, they’ll start their own investigation by gathering medical records about the condition and any treatment received that may have contributed to the poor care that was received. Finally, they’ll determine from a purely legal standpoint if the malpractice case is valid and if it can be tried in a court of law. The entire process can take months and it, unfortunately, might end with the lawyer informing the client that the case has no merit. This can be difficult to hear, but it’s good to know early. If the lawyer determines you have a legitimate case, they’ll start consulting with an expert medical witness. Typically these are doctors in the same field as the defendant. They’ll review the case and be able to identify that the defendant was negligent in deviating from standard of care and that is what led to injury or wrongful death. After gathering enough preliminary evidence, the lawsuit is filed along with an expert medical report that outlines all the core elements of your case—standard of care, breach of standard of care, and causation. Any documentation affirming the defendant was negligent in their medical practice is pointed out in the report. In Texas, preliminary expert reports are required to be served on the defendant within 120-days of obtaining service of the defendant. It is extremely important that you serve a report signed by a doctor in the same or similar field of the defendant doctor or hospital, and that it meets certain requirements defined by Texas law. Once a report has been held sufficient, both parties and their attorneys can begin the discovery phase. This process involves each party exploring the other’s legal claims, their defenses, and any evidence. They also take depositions of the relevant witnesses. More often than not, this is the longest part of the malpractice suit, and can be lengthened if a judge determines that one party hasn’t provided substantial responses to various inquiries. After the discovery period, one of a few things can happen. 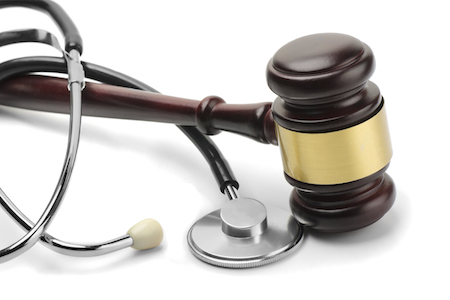 Settlement is always a possibility, but often times medical malpractice cases require a trial. There a variety of reasons for why medical malpractice cases, rather than other types of cases, go to trial. But a significant factor are the malpractice caps in Texas. In Texas, medical malpractice cases are capped so that a person or family is limited to, at most, $250,000.00 in pain and suffering damages. This amount was set by the legislature in 2003 and approved by Texas voters. Even if a jury of your peers determines you proved your case and suffered terribly, awarding you and your family $1 million for the pain and loss you experienced, that amount will be reduced to $250,000.00. For this reason many medical malpractice defendants do not fear a jury’s verdict because they are protected from a large damage award for pain and suffering. Most medical malpractice trials can last a little more than a week because there are many medical experts involved. While seeking damages for medical malpractice can be long, exhausting, and often painful, you and your loved ones need to be taken care of. It’s important to work with the right lawyers who you trust and who will be your strongest advocates throughout the process.